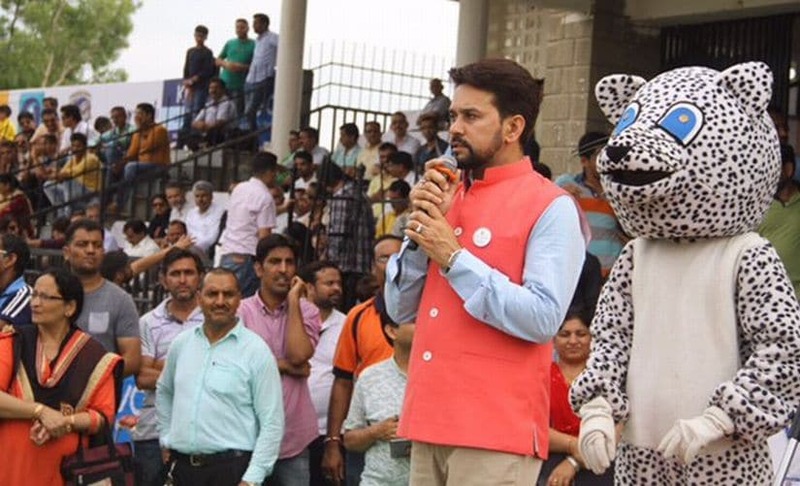 Anurag Thakur stepped down from the post of the Board of Control for Cricket in India president six months ago, but his association from sport is far from over. Moving away from national cricket, the BJP Member of Parliament (MP) organised a four-day "State Olympics" in Himachal Pradesh. Held between 22 to 25 June, these State Olympics featured 11 sports — hockey, athletics, boxing, basketball, judo, kabaddi, volleyball, wrestling, kho-kho, weightlifting and shooting — and reportedly saw 1,100 participants. The Games saw support from Olympians, sports personalities and celebrities like Winter Olympian Shiva Thapa; shooters Samresh Jung and Vijay Kumar; former WWE wrestler Khali and Bollywood stars Sunil Shetty and Sohail Khan. While his reign as the BCCI head was tumultuous and short-lived, Thakur hopes that he can use his expertise in cricket administration to promote other sports as the president of the Himachal Pradesh Olympic Association (HPOA). In an exclusive interview with Firstpost, Thakur spoke about the Games and his efforts to create awareness about other sports in the country. Why did you decide to organise these State Olympics? How did the idea for the event come about? We decided we wanted to hold a four-day event – the State Olympic Games – where we decided to organise 11 sports for 11 districts, with 1,100 participants. Then, we thought why not first understand whether people are inclined towards sports or not; just meet them and see what the feedback at the grassroots level is. 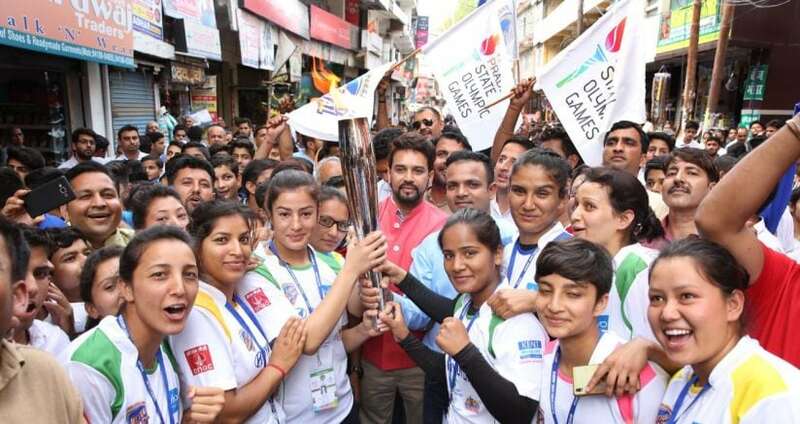 So, we started a torch run for the State Olympics on 17 June, from Shimla to Hamirpur covering nine districts.Thousands of people turned up for this, from students to participants. And the response has been very good, and it has only improved by the day. Why have you called this event the State Olympics? How are they different from the other district or state-level competitions? If you organise many games under one roof, what would you call them? All games are associated with the Olympics Association at the national as well as international level. We wanted to give the players a platform to participate and perform. It's a PPP model — a platform to participate and perform. This platform has given us an opportunity to recognise talented youngsters who are performing well. These athletes should now be selected by the athletic associations and be trained well so that they can do well in the future. Our job is not to do trials and select teams. It is the independent state associations who do trials and select teams for the state and national levels. The Olympic Association’s role is to promote sports, so we are creating more awareness about sports through this platform. After this, the state administrations can further train athletes to help them perform at the national and international levels. What is the aim of the State Olympics? What do you hope to achieve through this event? Have the winners been handed any prize money? As (Narendra) Modiji says, to win Olympic medals, we need to start from the grassroots levels. But nobody is doing this. So as an MP and HPOA president, I have taken this initiative to create more awareness about sports, and to understand what the shortcomings related to infrastructure and coaches are at the grassroots level. So after these Olympics, we will prepare a plan for how to train our athletes so they can win medals. You can’t achieve this overnight; you have to spend 10-12 years in training them. You have to catch them young, and train them well, and then only you can achieve this. This event is a big thing for a small state and a small association. We have pulled off a massive four-day event with 1,100 participants, and so many volunteers, organisers in the first year. More than prize money, it is the recognition and a platform that we are providing. In the future, we look forward to having prize money too. We are looking for tie-ups with private companies, if they can tie-up with some game, we can have further training for these athletes. What was the criteria for selecting these 11 sports? Is this part of a concerted effort to move away from cricket? The state governments do not have enough money or budget for these sports. The aim is to provide a basic infrastructure of playgrounds and coaches. Two important things are needed — once a player does well in any sport, he or she should have the guarantee of a government job or in the private sector. That security needs to be given. In cricket, even a first-class player earns a lot of money and can survive for a few years if he's playing well enough. This is not the case with other games. The reason investors and sponsors go for Virat Kohli and Sachin Tendulkar is because they have a huge fan following and these companies get lots of returns on their investments. The same is happening with PV Sindhu and Abhinav Bindra and other sportsmen who have done well at the international level. I think the associations and state governments need to pitch in more money to create more interest in various sports. And the private sector enterprises need to come forward and pick up a game each. What drives you to focus so much on sports? After your stint as BCCI president, what are your other goals for the future? Sports are very close to my heart because I played cricket, I understand cricket well. That is why I created the most beautiful stadium in our country with only Rs 50 crore. We have built six-seven stadiums in Himachal, replicating the same formula. This model has been picked up by other states and their associations; one has to be a role model for others to follow. We have done that in the field of cricket, now it's time to do it for Olympic (sports). We dedicated the latest stadium to Sushma Verma, who was the first Himachal Pradesh player to play for the women's team and represent India. 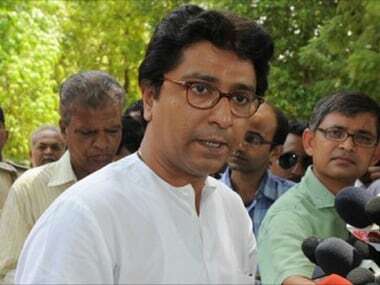 I personally feel that if I'm holding any post, I should be in a position to provide opportunities to the players, a platform to the players, infrastructure to the players, so that they can come forward and do well. What players need is more exposure, it is very important that they play more and more competitions. Sports are not only about fitness and toughness, it's about mental strength as well. 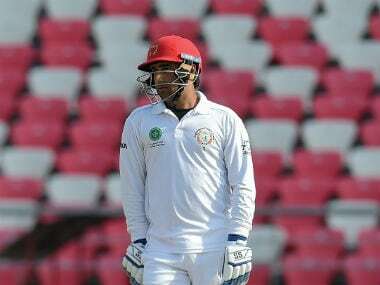 The Afghanistan cricket team have been training in Himachal Pradesh, with the state being their spiritual home, a second home for the cricketers. What are your thoughts on the team receiving Test status by the ICC? I must thank Prime Minister Narendra Modi. When the President of Afghanistan visited us, there was a dinner hosted by the President of India. 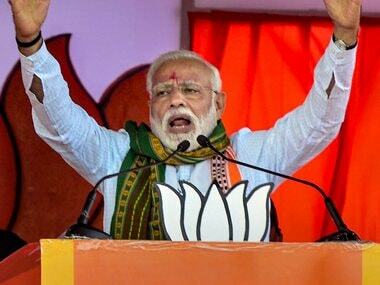 Modiji told us to help the Afghanistan cricket board and we did everything to help Afghanistan cricket — by providing a ground in India, by providing them the best facilities and helping their players to play in IPL. I took all those decisions and I helped them in getting full membership in ICC, which is a big thing. It's good for Asia that there is a fifth nation that is doing well. I wish Nepal could have done the same, but I think there is some complication with their cricket board. I wish they come out of it and they also become a full member status in coming years. My heartfelt congratulations to Afghanistan.